Air Conditioning Repairs | Fresh Air, L.P.
For the most part, modern homeowners have things pretty good. There are so many appliances and systems to make our lives more convenient and comfortable, right at our disposal—and thus, it can be hard to imagine living without them. But alas, no such system is going to be 100% reliable all the time. So sometimes, we are faced with the reminder of what it would be like to live without them. Take your AC for example—have you ever been stuck in the middle of summer with a malfunctioning cooling system? One of the most obvious indications of AC trouble is a system that’s not blowing cold air. Next to a complete breakdown, this is just about the clearest signal there is that your air conditioner has a problem. There are a number of potential causes, but whatever the case may be, it’s important that you reach out to a professional for your Katy, TX air conditioning services. Are DIY Air Conditioning Repairs a Bad Idea? In recent years, “do-it-yourself” projects have increased in popularity, leaving homeowners to do remodeling projects, baking projects, and much more on their own. This is usually very financially beneficial, and it’s easy to see why you’d be tempted to handle anything on your own for that reason. However, the one place you don’t want to have a “DIY fail” is with repairing your HVAC system. Sure, fixing your air conditioning system on your own can save you a few bucks, but what if you do it incorrectly? Then there’s a very good possibility you’ll be calling us very soon anyway for emergency repairs or even a system replacement. Posted in Air Conditioning | Comments Off on Are DIY Air Conditioning Repairs a Bad Idea? Is Your Air Conditioner Going to Make It to the End of Summer? One of the most common service calls we get in regards to a broken down air conditioner is from families who have elderly or ill individuals living in their home, and their AC system has died on a 90 degree day. 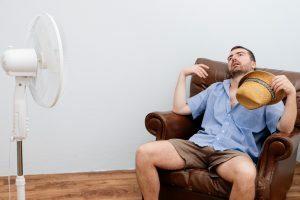 There might be times where an emergency such as this is unavoidable, however there are steps you can take both before summer and during summer to reduce your risks. As we are still experiencing pretty warm temperatures, you’ll want to read the tips below on how to ensure your system makes it to the end of the season. Posted in Air Conditioning | Comments Off on Is Your Air Conditioner Going to Make It to the End of Summer? 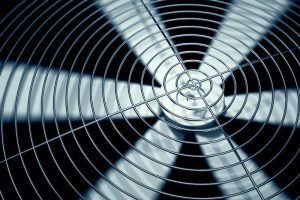 What Problems Does a Bad AC Condenser Cause? It goes without saying that you want your air conditioner to work to the best of its abilities at all times. Nobody wants to face a costly repair. The best way to prevent this from happening is by scheduling regular maintenance appointments with our staff. However, even a well maintained system can run into issues. And addressing problems right away is essential to avoiding major emergencies later on. One of the most common reasons for AC problems is a bad condenser. This component is housed in the outdoor unit of your AC system, along with the compressor. It condenses the refrigerant form a gas into a liquid as it moves to the indoor evaporator. As essentially the heart of your air conditioner, condenser failure can negatively impact the performance, efficiency, and lifespan of the system. Posted in Air Conditioning | Comments Off on What Problems Does a Bad AC Condenser Cause? Your air conditioning system has but one job. That is to cool off your home. As a result, you might not give much thought to the development of ice on your AC system. You may even just assume that ice building up on your air conditioner is a good sign. After all, when a system cools down that much, ice is normal right? Unfortunately no, this is not the case. Ice developing on your air conditioning system is never a good sign. So if you do see this happening, you should call our professionals right away to resolve the problem. But what causes this?